Our second-degree full-time Computer Science programme lasts 2 years (IV semesters). Graduates receive a master's degree (magister in Polish) after completion of a diploma thesis and a succesfull diploma defence. One of the main objectives of the programme is to educate highly qualified graduates who are able to skillfully adjust to the changing needs of the job market. Graduates of the second-degree programme are expected to be qualified to independently solve IT problems and apply IT solutions to selected technological and social fields. They should possess in-depth theoretical and practical knowledge of modern mobile technologies, design and programming of Internet and mobile applications, programming in a network environment, Internet data analysis, and multimedia processing. Graduates are also expected to have general knowledge of social issues facilitating interpersonal communication. Graduates can find employment as programmers’ team leaders, software designers and engineers, administrators of IT systems, network architects, or data protection and security specialists. They should be prepared to work in institutions with various business profiles that use modern IT solutions. In particular, in software development enterprises, in IT consulting companies, in the modern technologies and financial sector, as well as to conduct academic work at universities. They can also take up third-degree (doctoral) studies. 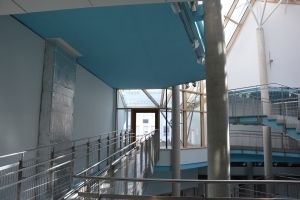 Our graduates can apply for admission to the second-degree Computer Science programme either at University of Bialystok, or other leading national and foreign universities.